On the spur of the moment, decided to head into the mountains as the weather was perfect: sunny warm at +15degC and only a light breeze in exposed places. 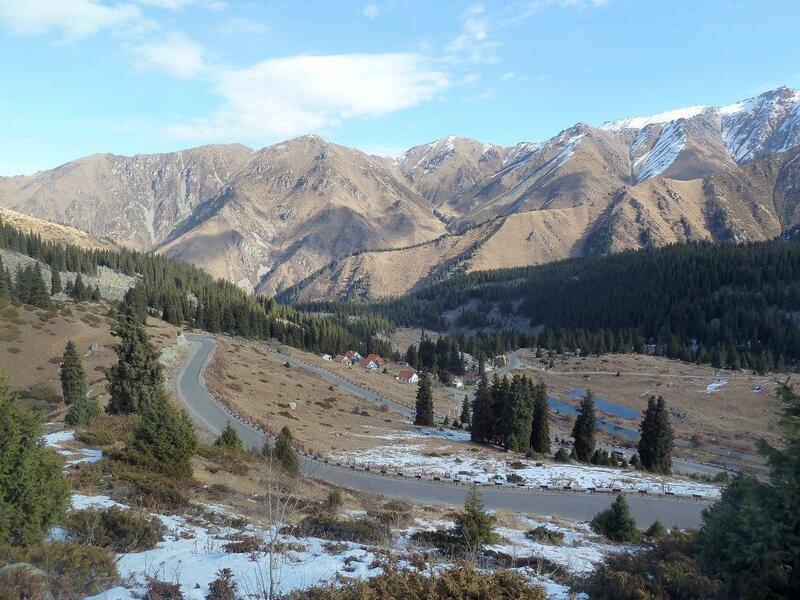 Didn’t need coats, gloves and hats even at 2,500m a.s.l. 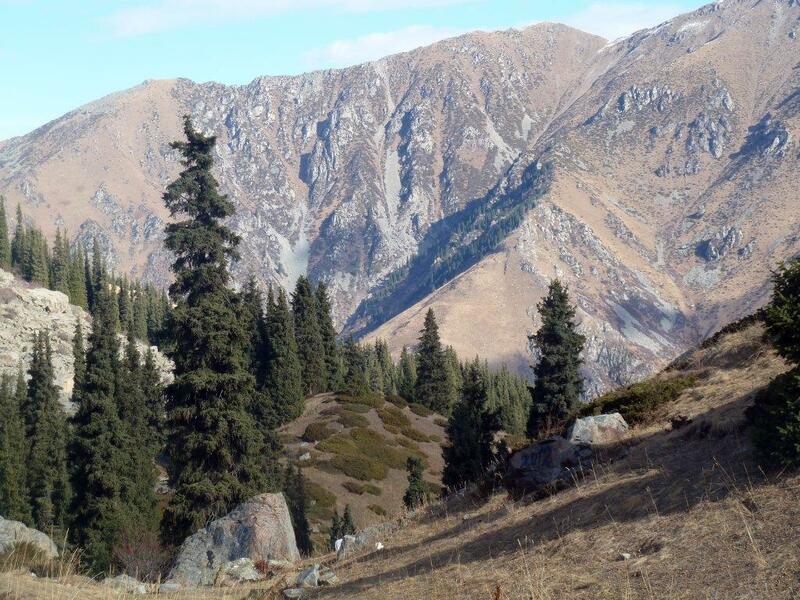 We headed for Big Almaty Lake so there were unfortunately lots of Sunday day trippers, who kept birds well hidden but its already late in the season anyway and many have migrated – the birds, not the day trippers. However, a soaring Golden Eagle wasn’t bothered by the hoards so that was the highlight of the trip. Earlier. on the way to the mountains, we stopped to check out an inner-city park near Republic Square – our fist visit to this place. The trees are dense and a wide range of species from shrubs and bushes to taller deciduous and conifer trees. It seems a good place to keep an eye on especially as almost the first bird seen was a male Northern Goshawk! Another highlight for the day. 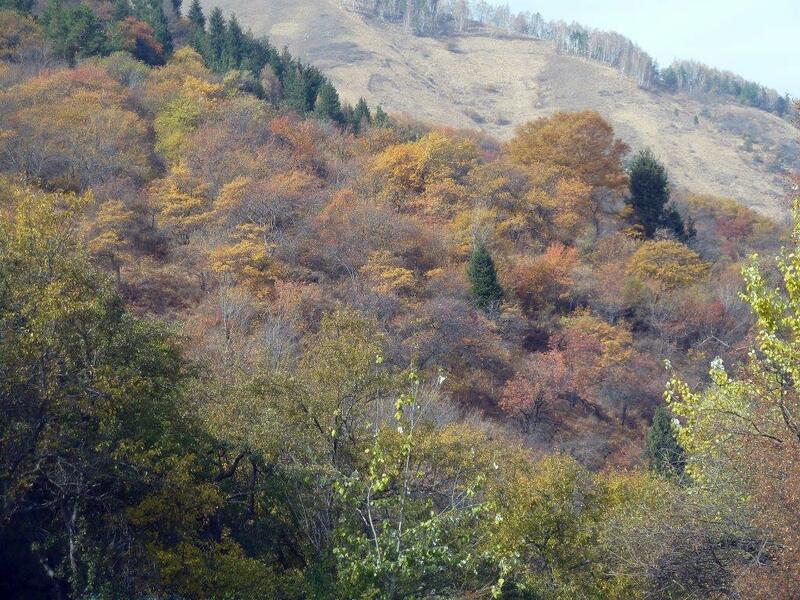 The autumn mountains and forests were stunning! 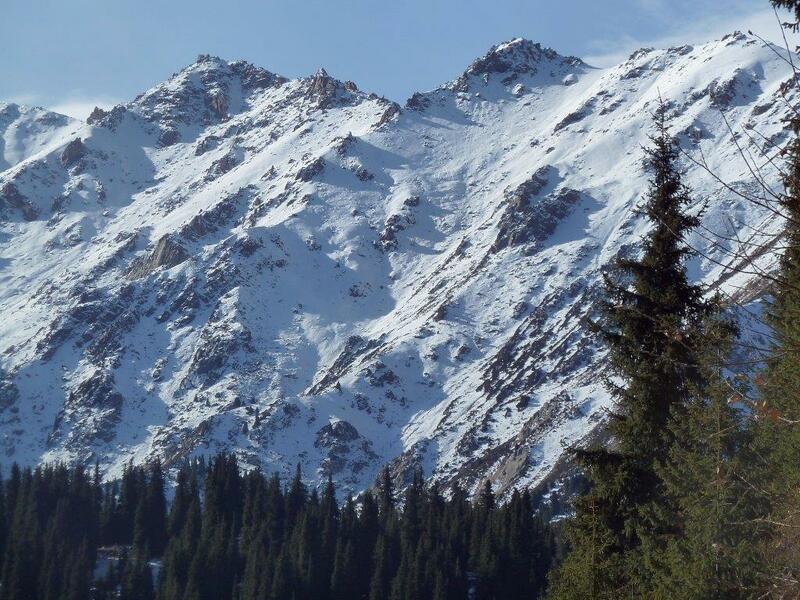 Big Almaty Lake, Ili-Alatau National Park, Kazakhstan, October 2014. This reservoir provides water for the city. 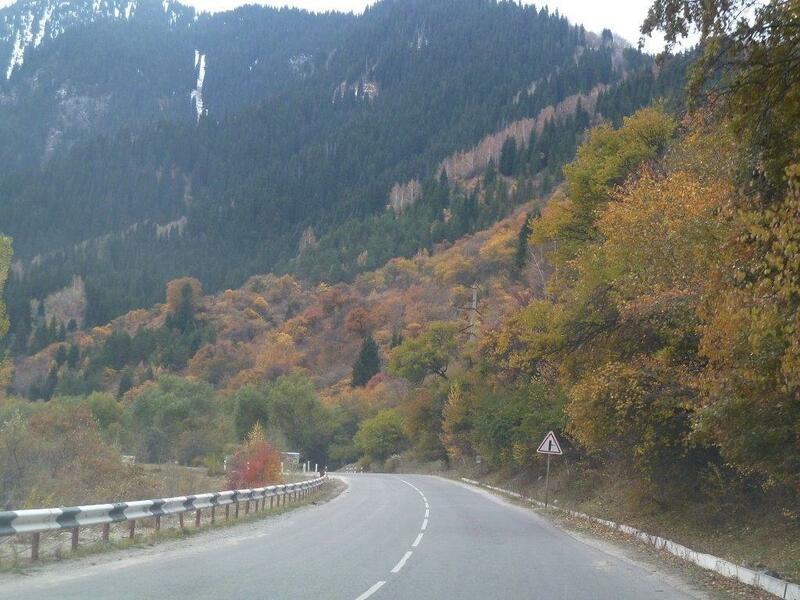 This entry was posted in Tienshan Mountains and tagged Almaty, Autumn, Central Asia, Ili-Alatau, Kazakhstan, Mountains. Bookmark the permalink.